People are always surprised when I tell them that if we had the funding, I have no doubt that we could recruit 30,000 one-to-one mentors for the kids in the Big Brothers Big Sisters program. My certainty is always met with major skepticism, but there 2 main reasons that I know this. One, over 20 years experience working for youth development programs that utilize one-to-one mentors, including 2 different Big Brothers Big Sisters agencies, and two, the fact that I haven't left the agency after learning some valuable lessons over the years. Too often in the nonprofit world, turnover leads to valuable brain drain, especially in the area of program improvement, but that's a whole other blog post. 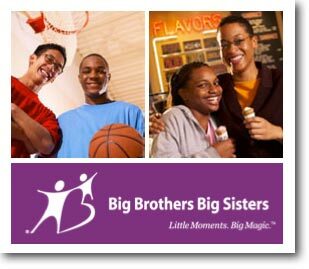 As I have written about before in The Mentoring Gap, core to the mission of Big Brothers Big Sisters is an ability to recruit volunteers to serve as mentor “Bigs.” This is an organization that would be 100% unable to carry out its mission without thousands of volunteers. Today we support over 3,000 volunteers as mentors, each of which works with one youth,* and meets face to face, regularly and consistently, for an average of 16 to 24 months. ** We firmly believe that our community is filled with more potential mentors ripe for recruitment, and that we have the knowledge, skills and experience to effectively attract, screen, train, and match as many of these individuals as we need, to work with at risk youth. People want to volunteer, and mentoring is an attractive option. The problem, as we see it, is not a lack of volunteers, but rather a lack of expertise in volunteer recruitment. 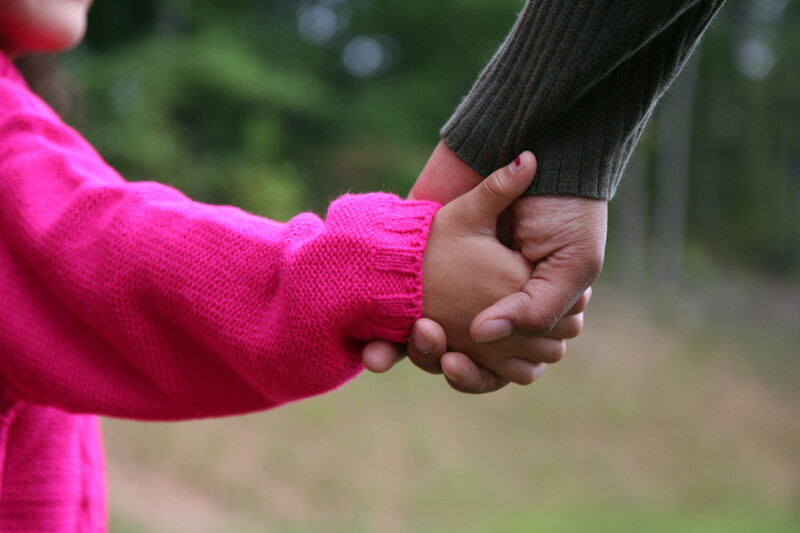 Big Brothers Big Sisters of South Texas has this expertise. Over the past several decades we have honed our recruitment techniques to the point that we actually bring in more volunteers than we can effectively process. We are at the point now where we need to secure the funding to hire more staff to work with the thousands of volunteers we can recruit if we are going to scale up. 1. Hire recruiters who have no other responsibilities in your organization. If you were a business and wanted to sell something, you wouldn't even think of not having dedicated salespersons. 2. These recruiters can be either full-time or part-time, but the key component is that all of their job responsibilities pertain to recruiting mentors. Volunteer recruitment is hard and it's pretty common to get diverted by easier to fulfill job duties. 3. Set a goal for the number of mentor inquiries each recruiter should generate each day/week/month/quarter and hold them accountable for the numbers. Of course, the goal should be achievable and if your organization has no history for that you'll need to do some research. 4. Review all the outreach efforts they engage in regularly to determine the ones with the best return on investment. Understand that activity doesn't always equal achievement. Not all volunteer fairs are created equal. 5. Don't get caught up in messaging and materials. Hours spent creating a fancy brochure are better spent on outreach. There is no magic tool that will bring the volunteers flocking in the door that is any more effective than your recruiter's business card. 6. Never stop recruiting during the life of your program. The day you think you've recruited the last mentor you need is the day one of them gets a promotion at work and moves to Portland. 7. Know what the other volunteer opportunities in your organization are in order to communicate that to potential volunteers who are not yet ready to take the one to one youth mentoring plunge. 8. Keep track of anyone ever interested in participating. It's much easier to convert a formerly not yet ready potential customer than to generate a new one. Why It's so Hard to Retain Mentors! * A few select Bigs have more than one "Little" but their matches are still one to one. Usually the first Little moves away but they still keep in touch, or he/she gets older and too busy to meet regularly, or the Big/Little are in two different mentoring programs. 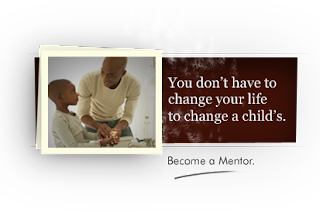 ** 16 months average for sit-based mentoring programs and 24 months for the community based mentoring program. *** Unfortunately, our advice is almost never followed, usually because of funding or priority issues.